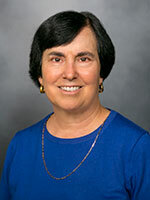 Nancy Gordon, ScD, has been a research scientist and program evaluation consultant in the Health Care Effectiveness group at the Kaiser Permanente Northern California Division of Research since 1985. She has a master’s degree in counseling psychology from the University of California, Santa Barbara; and a doctor of science in applied behavioral sciences from the Harvard School of Public Health. Dr. Gordon’s experience includes being director of the triennial Kaiser Permanente Northern California Adult Member Health Survey and serving as an evaluation consultant/director for many patient education/health promotion and innovative primary care health services sponsored by the Kaiser Permanente Medical Care Program. She has also frequently served as a consultant for the evaluation of programs aimed at improving knowledge and practices of clinical staff. ​This study will examine whether significant differences across Asian ethnic groups in prevalence of chronic diseases, behavioral/psychosocial risk factors, preventive service use, and patient portal use are masked when statistics are reported for “Asians.” It will utilize electronic health records and clinical/administrative data for a cohort of adults aged 20 to 89 who were Kaiser Permanente Northern California (KPNC) members throughout 2016 to compare six Asian ethnic groups (Filipino, Chinese, Korean, Japanese, South Asian, and Southeast Asian) on prevalence of chronic health conditions, obesity, and smoking status; Healthcare Effectiveness Data and Information Set (HEDIS) quality indicators of chronic disease management and cancer screening; and patient portal use during 2016. Pooled data weighted from the 2011, 2014/2015, and 2017 KPNC Member Health Surveys will also be used to compare the Asian ethnic groups on sociodemographic characteristics, health status, health behaviors, and information technology (IT) use. Asian ethnic groups will also be compared with non-Hispanic whites, blacks, and Latinos. Does Combining Asians Into One Group Mask Important Ethnic Group Differences in Health and Health Care Use? This study will examine whether significant differences across Asian ethnic groups in prevalence of chronic diseases, behavioral and psychosocial risk factors, preventive service use, and patient-portal use are masked when statistics are reported for Asians. We will use a very large cohort of adults aged 20 to 90 who were members of Kaiser Permanente Northern California for two or more years as of December 2016 to compare six Asian ethnic groups (Filipino, Chinese, Korean, Japanese, South Asian, and Southeast Asian). Electronic health record and clinical and administrative data linked to the cohort will be used to compare prevalence of chronic conditions, HEDIS (Healthcare Effectiveness Data and Information Set) performance on chronic disease management and cancer screening, frequency of smoking, frequency of obesity and exercise, and patient-portal use. Pooled data from the 2011 and 2014-15 Member Health Surveys will be used to compare Asian ethnic groups on sociodemographic characteristics, health status, and health behavior and psychosocial risks. Asian ethnic groups will also be compared with non-Hispanic white, black, and Latino adults. This study will identify barriers to the use of recommended assessment, diagnostic, and treatment services among Latino children and adolescents with autism spectrum disorder. The study population will comprise Kaiser Permanente Northern California Latino members, and comparisons will be made between commercially insured versus federally insured (Medicaid) patients, and English versus Spanish speakers. Perm J. 2016 Aug 19;20(4). Epub 2016-8-19. J Med Internet Res. 2016;18(3):e50. Epub 2016-03-04. BMC Public Health. 2015;15:546. Epub 2015-06-11. Nutr J. 2012 Dec 11;11:104. BMC Public Health. 2008 Sep 9;8:305. Med Care. 2018 Nov 19. BMC Health Serv Res. 2018 03 27;18(1):220. Epub 2018-03-27. BMC Public Health. 2006 Oct 3;6:241. BMC Pediatr. 2015;15:5. Epub 2015-02-12. Med Care. 2016 Jun 16. Am J Manag Care. 2015;21(12):e632-9. Epub 2015-12-01. BMC Womens Health. 2009 Mar 25;9:6. BMC Public Health. 2008 Jul 3;8:227. J Gen Intern Med. 2006 Oct;21(10):1027-35. Epub 2006 Jul 7. Am J Prev Med. 2005 Aug;29(2):77-84. BMC Geriatr. 2005 Feb 9;5:4. J Natl Cancer Inst Monogr. 2005;(35):75-80. J Ambul Care Manage. 2004 Jan-Mar;27(1):12-24. J Clin Hypertens (Greenwich). 2003 Jul-Aug;5(4):254-60. Health Serv Res. 2002 Aug;37(4):1009-29. Eff Clin Pract. 2002 May-Jun;5(3):130-6. Am J Public Health. 2001 Jun;91(6):976-9. West J Med. 1998 Sep;169(3):153-61.